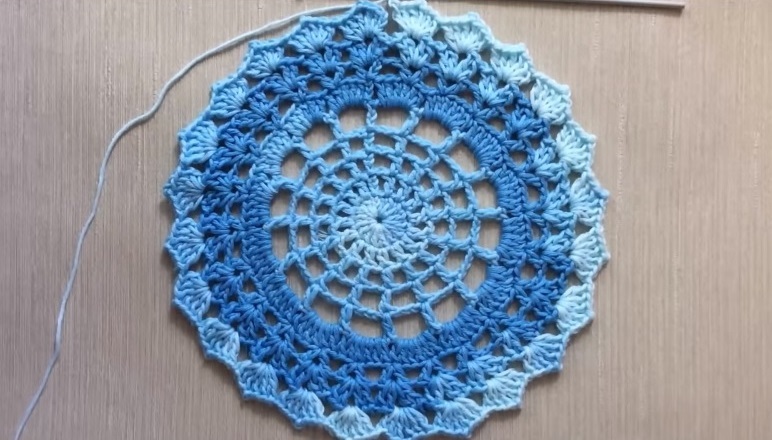 Today we are going to learn to crochet a beautiful doily coaster. The tutorial is rather easy and takes only a little time to be completed. The tutorial will be delivered in the video format, being very clear, precise and understandable without a problem. The project itself is a beginner / intermediate project and anyone can enjoy from it. The coaster can be used in a many ways and you can certainly make a table cover or a shawl by seaming the pieces together if you want so. Enjoy the tutorial, share it with your friends and make sure to come back for more material alike.